Abenaki, or Abnaki, is an endangered Algonquian language of Quebec and the northern states of New England. The language has Eastern and Western forms, which differ in vocabulary and phonology, and are sometimes considered distinct languages. Last fluent speaker of Eastern Abenaki died in 1993. Eastern Abenaki languages are spoken by several peoples, including the Mi'kmaq, Maliseet, Passamaquoddy, and Penobscot of coastal Maine. The last known natively fluent speaker of Penobscot, Madeline Shay, died in 1993. However, several Penobscot elders still speak Penobscot, and there is an ongoing effort to preserve it and teach it in the local schools. Other dialects of Eastern Abenaki, such as Caniba and Aroosagunticook, are documented in French-language materials from the colonial period. In 1991, Western Abenaki was spoken by 20 individuals along the St. Lawrence River between Montreal and Quebec City, mostly at Odanak, the site of the former mission village of St. Francis, and by about 50 individuals living throughout New York state and Connecticut. By 2006 five speakers were recorded. In 1614, six years before the Mayflower, an English captain, Thomas Hunt, captured 24 young Abenaki people from what would later become Massachusetts and took them to Europe to sell as slaves. As a result, when the Mayflower landed and the English began to establish colonies in the southern end of Abenaki territory, relations between the English and natives remained guarded. Especially, the religious leaders of the Massachusetts Bay Colony discouraged social interaction with the natives. By contrast, the French had already planted the colonies of New France in the northern part of Abenaki territory, and maintained reasonably cordial relations with the natives. Intermarriage between the French and natives gave rise to the Métis people. Over the next hundred years, European conflicts between the French and the English often included their colonies and their respective native allies. The French treated their Abenaki allies with some respect; in 1709, Louis XIV knighted Chief Assacumbuit for his service, thus elevating him as a member of the French nobility. Facing annihilation from English attacks and epidemics of new infectious diseases, the southern Abenaki started to emigrate to Quebec around 1669. The governor of New France allocated two seigneuries (large self-administered areas similar to feudal fiefs). The first was on the Saint Francis River and is now known as the Odanak Indian Reservation; the second was founded near Bécancour and is called the Wolinak Indian Reservation. When the Wampanoag under Metacomet, also called "King Philip", fought the English colonists in New England in 1675 in King Philip's War, the Abenaki joined the Wampanoag. For three years there was fighting along the Maine frontier in the First Abenaki War. The Abenaki pushed back the line of white settlement by devastating raids on scattered farmhouses and small villages. The war was settled by a peace treaty in 1678. During Queen Anne's War in 1702, the Abenaki were allied with the French; they raided numerous small villages in Maine, from Wells to Casco, killing about 300 settlers over ten years. The raids stopped when the war ended. Some captives were adopted into the Mohawk and Abenaki tribes; older captives were generally ransomed, and the colonies carried on a brisk trade. The Third Abenaki War (1722–25), called Dummer's War, erupted when the French Jesuit missionary Sébastien Rale (or Rasles, 1657?-1724) encouraged the Abenaki to halt the spread of Yankee settlements. When the Massachusetts militia tried to seize Rasles, the Abenaki raided the settlements at Brunswick, Arrowsick, and Merry-Meeting Bay. The Massachusetts government then declared war, and bloody battles were fought at Norridgewock (1724), where Rasles was killed, and at a daylong battle at Pequawket, an Indian village near present-day Fryeburg, Maine, on the upper Saco River (1725). Peace conferences at Boston and Casco Bay brought an end to the war. After Rale died, the Abenaki moved to a settlement on the St. Francis River. The Abenaki from St. Francois continued to raid British settlements in their former homelands along the New England frontier during Father Le Loutre's War (see Northeast Coast Campaign (1750)) and the French and Indian War. The development of tourism projects has allowed the Canadian Abenaki to develop a modern economy, while preserving their culture and traditions. For example, since 1960, the Odanak Historical Society has managed the first and one of the largest aboriginal museums in Quebec, a few miles from the Quebec-Montreal axis. Over 5,000 people visit the Abenaki Museum annually. Several Abenaki companies include: in Wôlinak, General Fiberglass Engineering employs a dozen natives, with annual sales of more than $3 million Canadian dollars. Odanak is now active in transportation and distribution. Notable Abenaki from this area include the documentary filmmaker Alanis Obomsawin (National Film Board of Canada). In 2006, the state of Vermont officially recognized the Abenaki as a people, but not a tribe. The state noted that many Abenaki had been assimilated, only small remnants remained on reservations during and after the French and Indian War, and later eugenics projects further decimated the Abenaki people of America through forced sterilization and questionable "miscarriages" at birth. As noted above, facing annihilation, many Abenaki had begun emigrating to Canada, then under French control, around 1669. The Sokoki-St. Francis Band of the Abenaki Nation organized a tribal council in 1976 at Swanton, Vermont. Vermont granted recognition of the council the same year, but later withdrew it. In 1982, the band applied for federal recognition, which is still pending. Four Abenaki communities are located in Vermont. On April 22, 2011, Vermont officially recognized two Abenaki bands: the Nulhegan Band of the Coosuk-Abenaki and the El Nu Abenaki Tribe. On May 7, 2012, the Abenaki Nation at Missisquoi and the Koasek of the Koas Abenaki Traditional Band received recognition by the State of Vermont. The Abenaki who chose to remain in the United States did not fare as well as their Canadian counterparts. 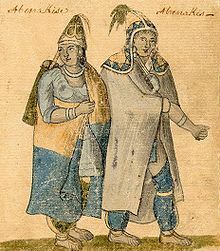 Tribal connections were lost as those Abenaki who were tolerated by the Anglo population were assimilated into colonial society. What familial groups remained were often eradicated, in the early 20th century, through forced sterilization and pregnancy termination policies in Vermont. There were over 3,400 reported cases of sterilization of Abenaki having been performed, many of which involved termination of an unborn fetus. No documentation of informed consent for these procedures was found. After this period the only Abenaki that remained in the United States were those who could pass for white, or avoid capture and subsequent dissolution of their families through forced internment in "schools" after their sterilization. At the time, many of the children who were sterilized were not even aware of what the physicians had done to them. This was performed under the auspices of the Brandon School of the Feeble-Minded, and the Vermont Reform School. It was documented in the 1911 "Preliminary Report of the Committee of the Eugenic Section of the American Breeder's Association to Study and to Report on the Best Practical Means for Cutting Off the Defective Germ-Plasm in the Human Population." The Vermont Elnu (Jamaica) and Nulhegan (Brownington) bands' application for official recognition was recommended and referred to the Vermont General Assembly by the Vermont Commission on Native American Affairs on January 19, 2011, as a result of a process established by the Vermont legislature in 2010. Recognition allows applicants to seek scholarship funds reserved for American Indians and to receive federal "native made" designation for the bands' arts and crafts. On April 22, 2011, Vermont officially recognized two Abenaki bands: the Nulhegan Band of the Coosuk-Abenaki and the El Nu Abenaki Tribe. On May 7, 2012, the Abenaki Nation at Missisquoi and the Koasek Traditional Band of the Koas Abenaki Nation received recognition by the State of Vermont. In New Hampshire the Abenaki, along with other Native American groups, have proposed legislation for recognition as a minority group. This bill was debated in 2010 in the state legislature. The bill would have created a state commission on Native American relations, which would act as an advisory group to the governor and the state government in general. The Abenaki want to gain formal state recognition as a people. Opponents of the bill feared it could lead to Abenaki land claims for property now owned and occupied by European Americans. Others worried that the Abenaki may use recognition as a step toward opening a casino. But, the bill specifically says that "this act shall not be interpreted to provide any Native American or Abenaki person with any other special rights or privileges that the state does not confer on or grant to other state residents." New Hampshire has considered expanding gambling separate from the Native Americans. The council would be under the Department of Cultural Resources, so it would be in the same department as the State Council on the Arts. The bill would allow for the creation and sale of goods to be labeled as Native-made, to create a source of income for the Natives in New Hampshire. The numerous groups of Natives in the state have created a New Hampshire Inter-tribal Council, which holds statewide meetings and powwows. Dedicated to preserving the culture of the Natives in New Hampshire, the group is one of the chief supporters of the HB 1610; the Abenaki, the main tribe in the state, are the only people named specifically in the bill. A new generation is actively preserving and revitalizing the language. Fluent speakers Joseph Elie Joubert from the Odanak reservation and Jesse Bowman Bruchac lead partial immersion classes in the language across the northeastern United States. They have created several books in and about the language as well as audio, video and web-based media to help others learn the language. In July 2013, the Penobscot Nation, the University of Maine and the American Philosophical Society received a grant from the National Endowment for the Humanities to expand and publish the first Penobscot Dictionary. Throughout time, Abenaki language has been made to thought it was unimportant and with the fading of generations, the Abenaki language became more and more scarce. Abenaki language was as low as twelve native speakers as of 2015, but with recent focus and extra efforts in the Abenaki community, this number seems to be growing. Today, there are some passionate Abenaki, and non Abenaki people, like Jeanne Brink` of Vermont, who are trying to revitalize the Abenaki culture, which includes their language and their basket making traditions. Today, there are about 12,000 people of varying Abenaki heritage in the Canadian and New England regions, all varying in their connection to their language. In Maine, there are about 3,000 Penobscot Native Americans, and this is a large driving force of the language resurrection. Among Brink and others, Jesse Bruchac is a loud voice in the Abenaki culture. Along with writing and publishing various Abenaki books, he created a movie and sound piece telling the Native American side of Thanksgiving while spoken in Abenaki. In this film, called Saints & Strangers, the three actors not only memorized the lines in Abenaki, but also learned the syntax behind the language and learnt from filming. This revitalization of the famous Thanksgiving story from a new tongue and perspective offered a more original and full version of what Thanksgiving might have really been like so many years ago. In Bruchac's novel, L8dwaw8gan Wji Abaznodakaw8gan: The Language of Basket Making Bruchac notes that Abenaki is a poly-synthetic language, which makes the ways to express oneself in Abenaki is almost limitless. Abenaki language consists of dependent and independent grammar, which address the gender of the speaker. Abenaki also uses nouns, pronouns, first, second, third, and indefinite parts of speech, and verbs, and adjectives. If the noun is animate or inanimate alters the structure of the sentence or phrase. Although written primarily in English, Aln8bak News helped to preserve the Abenaki language through the inclusion of Abenaki words and their translations throughout each newsletter. Aln8bak News was a quarterly newsletter that discussed cultural, historical, and contemporary information regarding the Cowasuck Band of the Pennacook Abenaki. It was started in 1993, by Paul Pouilot, Sagamo of the Cowasuck Band of the Pennacook Abenaki. The word, Aln8bak (pronounced like Alnôbak) is often used as a synonym to Abenaki. Initially the newsletter was called Aln8ba8dwa National News (Aln8ba8dwa or Alnôbaôdwa means "Abenaki speaking"). Issues of the quarterly newsletter from 2003-2010 were published by the Cowasuck Band of the Pennacook Abenaki on their website. According to a statement made by the Band, after 2010, they stopped publishing the newsletter on their website due a lack of financial support from online readers.Aln8bak News included community-related information such as updates on governance issues, notices of social events, and obituaries. The newsletter also included Band history, genealogy, language lessons, recipes, plant and animal studies, books reviews, and writings by Band members. The English word "skunk", attested in New England in the 1630s, is probably borrowed from the Abenaki seganku. About 500 Penobscot words are "still being used in the community in everyday language," such as "Muhmum" for "grandpa", and "nolke" for "deer". The 2015 National Geographic Channel mini-series Saints & Strangers, telling the story surrounding the foundation of Plymouth Plantation and the celebration of the "First Thanksgiving", contained a considerable amount of dialogue in the Western Abenaki language. Several actors, including Tatanka Means (Hobbamock), and Raoul Trujillo (Massasoit) spoke the language exclusively throughout the series, and Kalani Qweypo (Squanto) spoke both Abenaki and English. Western Abenaki language teacher Jesse Bruchac of Ndakinna Education Center was hired as a language consultant on the film. Eastern Abenaki dialects included Penobscot, Norridgewock, Caniba, Androscoggin, and Pequawket. Western Abenaki dialects are or were Arsigantegok, Missisquoi, Sokoki, Pennacook, and Odanak. The following description is for the two Abenaki dialects. Linguists studying the Abenaki have called the language a language of verbs due to its high degree of inflectional complexity. Although the language does not use gender, nouns are divided into two categories: noble and ignoble. Although there may be occasional exceptions, noble words pertain to living things, while inanimate objects are considered to be ignoble words. * letters in square brackets often lost in vowel syncope. ^ Hammarström, Harald; Forkel, Robert; Haspelmath, Martin, eds. (2017). "Eastern Abenaki". Glottolog 3.0. Jena, Germany: Max Planck Institute for the Science of Human History. ^ Hammarström, Harald; Forkel, Robert; Haspelmath, Martin, eds. (2017). "Western Abenaki". Glottolog 3.0. Jena, Germany: Max Planck Institute for the Science of Human History. ^ "Penobscot". Native Languages of the Americas. Retrieved October 25, 2011. ^ "Eastern Abnaki language". Ethnologue. Retrieved October 25, 2011. ^ "Abbe Museum: Penobscot". Archived from the original on March 20, 2016. Retrieved February 21, 2016. ^ Muir, Diana, Reflections in Bullough's Pond, University Press of New England. ^ Bourne, Russell (1990). The Red King's Rebellion, Racial Politics in New England 1675-1678. p. 214. ISBN 0-689-12000-1. ^ Spencer C. Tucker, ed. (2011). The Encyclopedia of North American Indian Wars, 1607–1890: A Political, Social, and Military History. ABC-CLIO. p. 249. ISBN 9781851096978. ^ "Administration". Cbodanak.com. Archived from the original on 2012-07-20. Retrieved 2012-10-30. ^ "Tribal Directory". U.S. Department of the Interior, Bureau of Indian Affairs. Retrieved December 26, 2012. ^ "Vermont: Eugenics: Compulsory Sterilization in 50 American States". University of Vermont. Retrieved December 31, 2014. ^ "Vermont Eugenics". Uvm.edu. 1931-03-31. Retrieved 2012-10-30. ^ Henrik Palmgren. "The Horrifying American Roots of Nazi Eugenics". Redicecreations.com. Retrieved 2012-10-30. ^ a b "HB 1610-FN – As Amended by the House". NH General Court. Retrieved March 22, 2010. ^ "The New Hampshire Inter-Tribal Native American Council: Mission Statement". Retrieved March 22, 2010. ^ "Native Languages of the Americas: Penobscot (Eastern Abnaki, Penawahpskewi, Penobscott)". native-languages.org. Retrieved 2012-11-11. ^ "Western Abenaki Dictionary and Radio Online: Home of the Abenaki Language". Retrieved 2012-11-11. ^ a b McCrea, Nick (July 11, 2013). "Penobscot Nation, UMaine win grants to help revive tribe's language". Bangor Daily News. Retrieved 23 July 2013. ^ Lindholm, Jane. "Preserving Abenaki Language Culture". VPR. Vermont Public Radio. Retrieved 17 April 2017. ^ "Abnaki-Penobscot (Abenaki Language)". Native Languages of the Americas. Retrieved 18 April 2017. ^ Johnson, Scott. "Telling Thanksgiving's Story in a Vanishing American Language". ews.nationalgeographic.com. National Geographic. Retrieved 18 April 2017. ^ Bruchac, Jesse; Brink, Jeanne; Joubert, Joseph (January 31, 2011). L8dwaw8gan Wji Abaznodakaw8gan: The Language of Basket Making. lulu.com. pp. 1–4, 34–39. ISBN 978-0557632107. Retrieved 19 April 2017. ^ a b "Digitizing Tribal Newsletters". Dawnland Voices 2.0. Dawn Land Voices. Retrieved 17 April 2017. ^ "Aln8bak News Vol 2003 Issue 1 January February March 2003". Cowasuck Band of the Pennacook Abenaki People. COWASS North America. Retrieved 17 April 2017. ^ "Ethnic and Alternative Newspaper Collections - Online: Native North Americans". University of Kentucky Libraries. University of Kentucky. Retrieved 17 April 2017. ^ "Aln8bak Quarterly News Special Announcement". Cowasuck Band of the Pennacook Abenaki People. COWASS North America. Retrieved 17 April 2017. ^ Heald, B. (2014). A History of the New Hampshire Abenaki. Charleston, South Carolina: The History Press. Day, Gordon M. 1994a. Western Abenaki Dictionary. Volume 1: Abenaki to English. Hull: Canadian Museum of Civilization, Mercury Series, Canadian Ethnology Service Paper 128. Day, Gordon M. 1994b. Western Abenaki Dictionary. Volume 2: English to Abenaki. Hull: Canadian Museum of Civilization, Mercury Series, Canadian Ethnology Service Paper 128. Harvey, Chris. "Abenaki". Language Geek. Retrieved 2007-03-12. Heald, B. (2014). A History of the New Hampshire Abenaki. Charleston, South Carolina: The History Press. Voorhis, Paul. 1979. Grammatical Notes on the Penobscot Language from Frank Speck's Penobscot Transformer Tales. Warne, Janet. 1975. A historical phonology of Abenaki. "Native American Audio Collections: Abenaki". American Philosophical Society. Archived from the original on 2013-08-14. Retrieved 2013-05-20. "Native American Audio Collections: Penobscot". American Philosophical Society.